We can see how popular are nowadays flyers templates. To have an event or product you will need to have a good flyer template for promotion if you want to have people attentions. 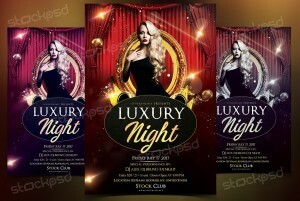 Luxury Night Flyer is a Free PSD Flyer Template to download. This PSD File is very easy to edit, change the color, text, shapes or other elements that you can easy add/delete. This flyer have also Alternative Colors which you can change the whole flyer template by just one-click ! Help file have a guide on how you can customize colors and more helpful information. 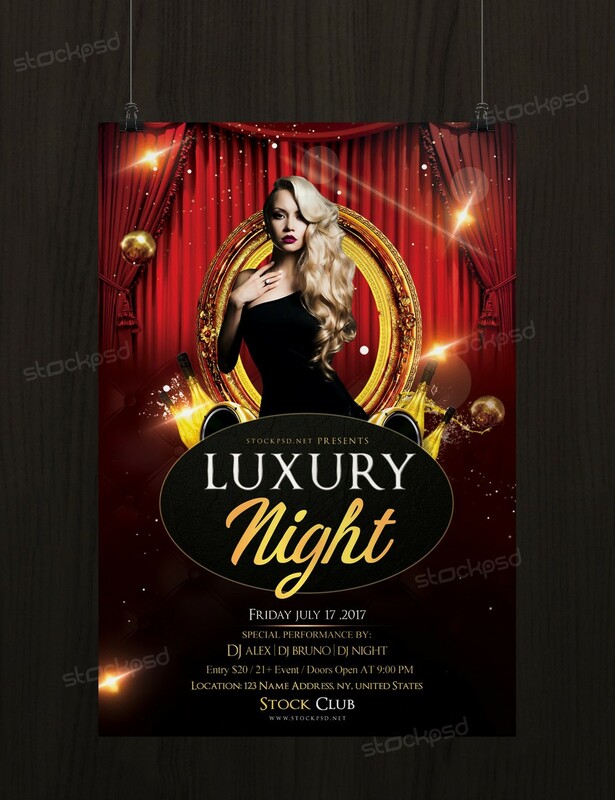 This flyer is suitable to use for any Luxury Event, Club Party, Mixtape Covers or Business proposes such as Fashion, Product releases, Hair-style & More.